Hi, I want to ask how to be able to follow the music when dancing. I have no musical background. 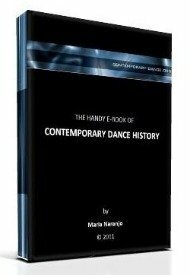 Musicality is a dancing skill that needs to be studied and cultivated, just as flexibility or force. Basically, you need to learn to dance while listening with complete attention to the music. When we are not used to that, we concentrate so much in the dancing moves that we forget the music and loose connection with its rhythm or dynamics. To work on this, you need to train your ‘ear’. This means that you need to get the musical background you still don't have. If you have the possibility of taking some basic music classes, that would be great. You could study a basic instrument (like the piano) or singing, if you like it. If you can not afford classes, then your task is to concentrate on listening while dancing. It is a dissociative skill for your mind, because you need to pay attention to both: moving and hearing. That alone might develop your musicality, though a kickstart from a music teacher would help you a lot.